Third World Newsreel has been our fiscal sponsor during the making of the film. We are excited to be joining their catalog of important educational titles. 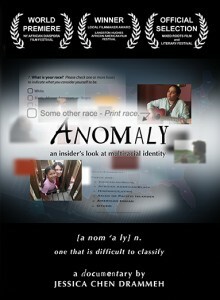 Anomaly is suited for educational discussions on Identity, Multiculturalism & Diversity, Race & Ethnicity, Sociology, Music, Performance, African American Studies, Asian Pacific American Studies, Media Studies, and many other subject areas. Anomaly is an award-winning documentary that provides a thought-provoking look at multiracial identity by combining personal narratives with the larger drama of mixed race in American culture. Spread the word and recommend the new Anomaly DVD to your local educators! We hope that the conversations sparked at film festivals and in-person presentations continue to unfold in your local community. Pete Shungu, featured in Anomaly on trumpet and spoken word, and band Afro D All Starz will be performing live in NYC the evening of the Loving Day Flagship Celebration. 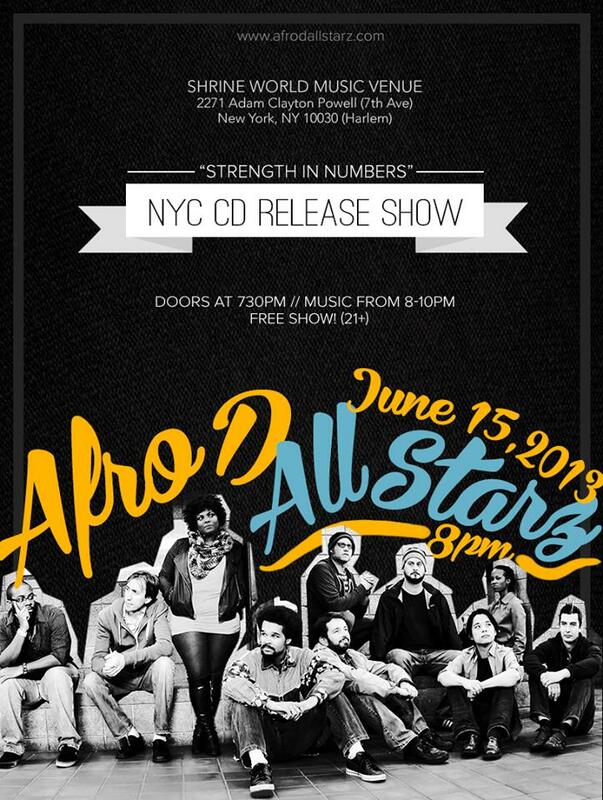 Come to the CD release party for their new album, “Strength in Numbers.” Afro D All Starz is a 12-piece live band, blending hip hop, jazz and soul — socially-conscious, community-minded, music for the people. Anomaly is a proud Community Partner of the 10th annual Loving Day Flagship Celebration in NYC! The event celebrates the anniversary of the landmark Supreme Court case, Loving v. Virginia, which legalized interracial marriage in the U.S. The event is open to the public, rain or shine, and includes community info booths and free barbecue. Enjoy a summer day along the East River and come to the Anomaly table! Join Anomaly at our table at Loving Day NYC on June 15th! If you are in other areas, check out the event listings for celebrations in Denver, New Orleans, Chicago, Los Angeles and many more! Or, host your own Loving Day celebration in your local community. However you celebrate, remember our rights to freely chose whom we befriend and love. Screening and Performance near Boston at Bentley University! 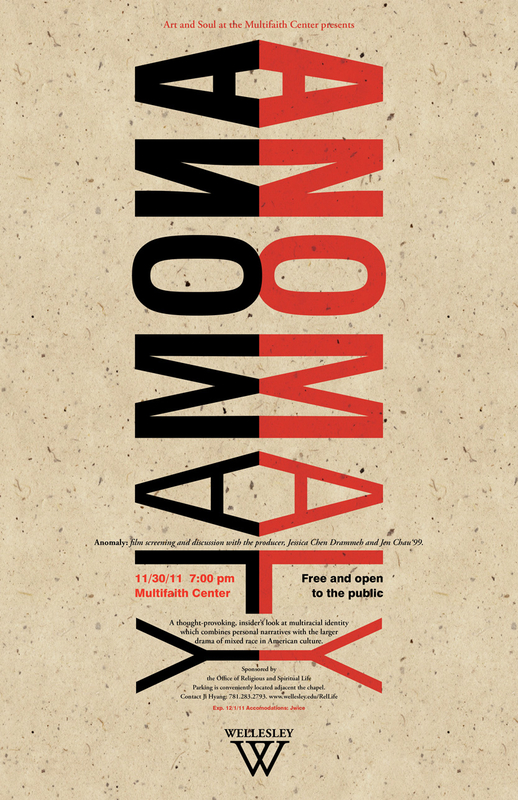 Anomaly will be featured in Bentley University’s 2012-2013 Performing Arts Series: BE MOVED, in Waltham, MA. Following a screening of Anomaly with Director/Producer Jessica Chen Drammeh, there will be live music and spoken word poetry performed by Pete Shungu, a featured character in the film. 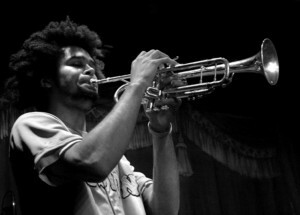 Pete (aka Afro DZ ak) is a lyricist and trumpet player. Join Jessica and Pete for this exclusive 2012 Boston-area appearance! 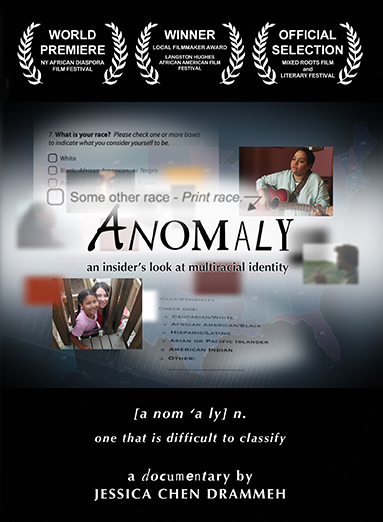 Anomaly is an award-winning documentary that provides a thought-provoking look at multiracial identity by combining personal narratives with the larger drama of mixed race in American culture. The characters use spoken word and music to tell their stories of navigating identity, family and community in a changing world. 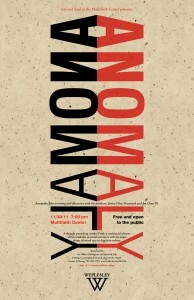 As it unfolds, Anomaly tells a story that is deeply personal, yet broadly American. Live music will follow the screening featuring Pete Shungu, who stars in the film. 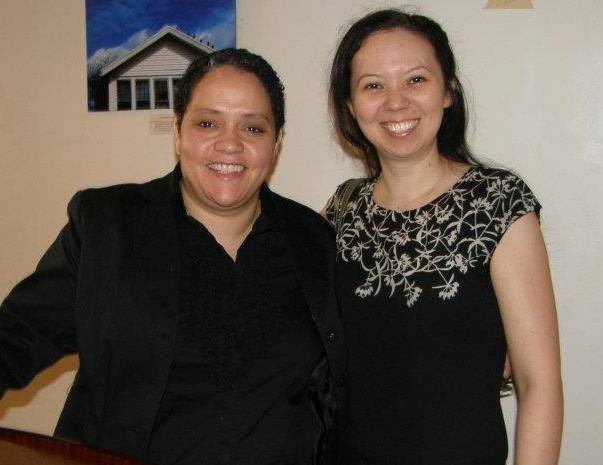 We’re thrilled when we have screenings with live performers, such as with singer/songwriter Gabriella Callender at the Filmwax Film Series screening in Brooklyn in May (see photo at right). If you are near the Boston area, we look forward to bringing you another fantastic live show! Pete Shungu is a musician/poet/community organizer based in Boston. His mother is Caucasian from Kansas, and his father African from the Democratic Republic of Congo. Through his poems and music, like “Third Eye-dentity” and “Other,” Pete challenges the social categorization of mixed race people, while exploring both sides of his rich family identity. Pete is a graduate of Tufts University and performs under the name, Afro DZ ak. In addition to his work as a solo artist, he performs with his own 10-piece live hip hop/soul/jazz band, the Afro D All Starz, who will be putting out a new album, “Strength in Numbers,” in early 2013. To listen to music from Pete’s previously-released solo album, “Elevation,” visit, visit Gnawledge Records. 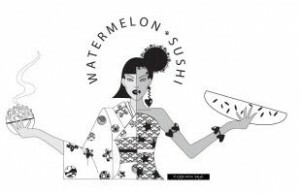 Watermelon Sushi World: Anomalies R Us! Q: Your film seems so thorough and not just the usual angst about “What am I?” Did you first develop a script, or was it your interviewees that made it less emotional and more intellectual? A: While making the film, we developed an “interactive” process of sorts, where we would shoot, edit, and then have work-in-progress screenings for feedback. We’d repeat this process over several stages. Many filmmakers don’t like to do this because it risks changing the vision of the film too early! We wanted community participation, in fact…Developing a rapport with the participants was fundamental, because we wanted to get a real look at their personal lives…We also had the insight of veteran filmmaker/professor Sam Pollard, who became a consulting editor to the project. Read more of the interview at Watermelon Sushi World! And, if you are in the NYC area, don’t forget about our screening on May 12 with Gabriella Callender performing live! 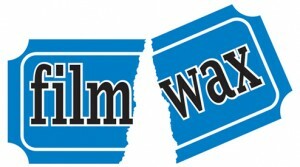 For all of our Brooklyn and NYC-area friends and community, please save the date of May 12th for a screening with the Filmwax Film Series: eclectic films by local filmmakers. The event will include special appearances by Director/Producer Jessica Chen Drammeh and Anomaly subject Gabriella Callender, who will perform live at the screening! Gabriella is a singer-songwriter from Hollis, Queens, and part of the trio, Mahina Movement. Recently, Thaddeus Rutkowski’s story, “The Mountain Man,” was published in the New York Times. Thaddeus is a featured character in Anomaly, and we congratulate him on the piece! 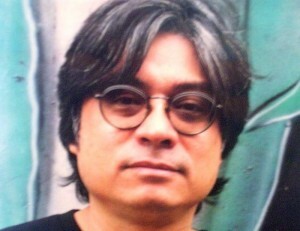 Thaddeus has readings around NYC, the U.S., and internationally. Stay tuned to his website for his latest schedule. To watch a clip of Thad from Anomaly, watch this clip on YouTube. Anomaly at Wellesley with Guest Speakers! 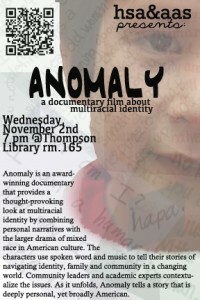 Anomaly screens at Wellesley Nov. 30. Anomaly’s recent screening at Ohio State University sparked an engaged discussion! Nov. 30, Anomaly screens on the campus of Wellesley College featuring guest speakers Jessica Chen Drammeh (Director/Producer of Anomaly), and community leader Jen Chau (Founder of Swirl). The event is free and open to the public, so join us if you are in the Boston area! Anomaly will be screening across the pond, making its European/UK premiere at the Legacy Film Festival! The Legacy Film Festival is a celebration of the achievements, contributions and issues of Black minority and ethnic people around the world. The 2011 program is their biggest ever! Oct. 23rd, Legacy Film Festival, 1pm at the Old Courtroom, Brighton, U.K., http://www.legacyfilmfestival.org.uk/anomaly Open to the public. The discussion after the screening will compare the experiences of those within the film to those within the UK and the British multiracial identity. Nov. 30th, Wellesley College, 7pm at the Multifaith Center at Houghton Chapel, Wellesley, MA. Open to the public. Please contact us at info@anomalythefilm.com if you’d like to host a screening in your area! We are thrilled and honored that we acquired a release to incorporate Joe Bataan’s song, “Ordinary Guy (Afro Filipino),” in the soundtrack of Anomaly. Back in the 60s and 70s, long before mixed heritage identity came into public awareness, Joe Bataan was singing about his Afro-Filipino roots! If you’re in New York, catch him at Central Park’s Summerstage! 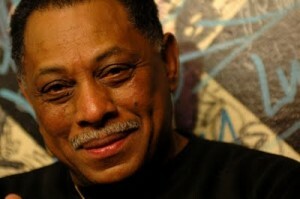 Joe Bataan, called the “King of Latin Soul,” was influenced by the melodic sounds of doo-wop and the energy of Latin music that were the hallmarks of his Spanish Harlem neighborhood. Support Anomaly with a tax-deductible contribution and help us reach more communities, campuses and audiences! Note: Please be sure to list Anomaly as the Designated Program and include info@anomalythefilm.com for email notification. 2. SNAIL MAIL: Make your check out to our non-profit fiscal sponsor, Third World Newsreel, write Anomaly on the memo line, and mail to c/o Jessica Chen Drammeh, PO Box 300, Prince Street Station, New York, NY 10012. Thank you for your outreach support!